Welcome to our conference on “Social Democracy in Changing Times: Solidarity and Prosperity in the Balkans”. This conference is the product of (as CHP) our solidarity with the Balkan people who are in a historical transformation, our support to the people fighting for the wellbeing and peace in the area, the value we are giving to the brotherhood between Turkish and Balkan people from centuries. In our conference, from Istanbul standpoint, under the light social democratic values like equality and freedom, we will try to understand the Balkans where different religions and nations are merged. Why I said Istanbul standpoint: Because, Istanbul means the Balkans in a way. Each Balkanian belongs to Istanbul somehow. Winston Churchill said that Balkans created more history than they consumed. In the last twenty years, by passing through a great transformational period, Balkans opened a new page in the history. As Republican People’s Party, we are observing with contentment that the Balkans have become a steady region where the democracy is well established, the rule of law is dominant and the human rights are under assurance. For us, the Balkans mean a region where a strong power in favor of peace, where governments can expand wellbeing among different groups, and democratic values like equality, freedom and solidarity that we can share all together. It is very important for us that Turkey has close relationships with each Balkan country. The region has seen the rise of Mustafa Kemal’s ideas on freedom. It will be for our own benefit to focus on political, economic, touristic, cultural projects and to enhance the cooperation on security issues. In order for the Balkans to obtain optimum benefit from the relationships with the European Union and dynamics of global change, a multi-dimensional cooperation would be important and necessary between us. Together with the globalization and the new inequalities in societies all around the world, the need and the importance of the social democratic values are increasing. The Balkans is one of the regions where we can see this need clearly. 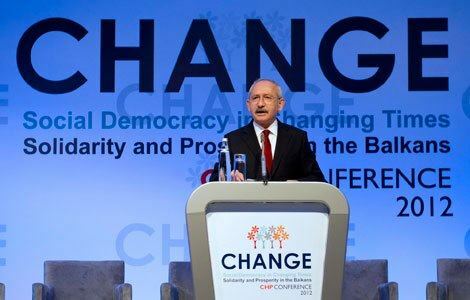 As CHP, we support that the Balkan states get rid of the fanatic nationalism, authoritarian governments and the bad memory of the past wars; that they go forward towards democratic governments supporting human rights and peace, and to pluralist economies. We are aware that the dialogue between countries and the role of the regional institutions are very important in the historical transformation that the Balkan people from the Adriatic coasts to Thrace. We know how institutions and platforms like the European Union, Southeast European Cooperation Process, Black Sea Economic Cooperation Organization and Regional Cooperation Council are important for the peace and stability in the Balkans. We appreciate that the countries in the region are in a strong solidarity with each other. It is very pleasant to see that besides the two-sided or multi-sided corporate solidarity, Balkan countries are continuing their cooperation on foreign trade, transportation and energy. Moreover, it is again pleasant to see the fight against organized crime; cooperation between local administrations, trade chambers, civil society organizations and academic groups. When we come to peace and stability in the region; probably again in the future some marginal groups who would be against these different ethnic groups living together, will continue to create a security problem between Balkan people. But based on the current dynamics of the Balkans, we can say that those supporting the disruption in the region will fail. Right at this point, I want to draw your attention to the importance of the European Union. We appreciate the policies that Balkan countries are following since the beginning of 2000s in order to establish peace, stability and their effort to enter the European Union. Everybody should accept that Europe would not be completed without expanding to the west of the Balkans. Therefore, I would like to emphasize that the European Union besides the Balkans, should follow a more exclusive policy towards Turkey. Social dialogue, security for everyone, economic union, and the conservation of different ethnic groups, cultures and religions are the key factors summarizing our perception. Unfortunately, we are aware that the Turkish foreign policy is now being discussed by Balkan countries. The key success of a country’s foreign policy is other countries perception rather than the country’s itself. 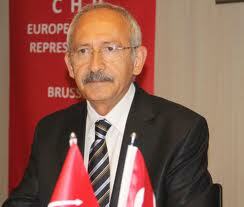 If there are accusations towards Turkey today, then Ankara should try to understand the reason behind these accusations. I do not believe that the quest for cooperation not based on equal and honorable union among the Balkan countries and people would be long lasting. In this regard, I think that utmost the Balkans need the universal values of social democracy and to cooperate within the framework of these values. Social democracy is not only a societal stability project for the Balkans, but also a permanent and feasible regional peace project. The assurance of the peace and security in the Balkans that has a multi ethnical and multi religious social structure is a pluralist and participative democracy. That is why; we care about the developments on the citizenship rights in the Balkans. In order for the different groups in the Balkans, to express themselves we believe that democratic tools should work properly. Besides the pluralist and participative democracy, social solidarity will prevent ethnic and religious polarization in the Balkans. Societies where different groups defend each other’s rights are societies close to peace, happiness and stability. The social structure of the Balkans based on the harmony of various cultures is one of the essential factors that will encourage the solidarity between the people in the region. Another essential factor that will contribute to the solidarity of Balkan people is the social democracy. All the social democrat and socialist entities that will fight for the solidarity, equality and human rights in the Balkans are capable of passing through the traps of discrimination and polarization. In order for different groups to express themselves, the rule of law is as much important as the pluralist and participative democracy and social solidarity. In order to solve the disputes in a fair manner, the rule of law is needed. One of the assurances that will save the Balkans from the current ruins of the 90s is the rule of law. As CHP, we know that a pluralist political system, a fair representation, respect to different identities and equality for all the citizens are the major requirements for the Balkans’ wellbeing. But there is another thing that we know: If economical injustices are not eliminated, the political developments would be short term and inefficient. That is why we want an economic system based on a fair production basis to provide fair distribution in the Balkans. Nowadays, many of the European Union countries are facing economic problems. We are worried that the crisis will be affecting the working people and labors and in this context, we are observing the developments in Greece with care. We believe that economic policies that will increase employment and increase the prosperity of the society will bring stability to the Balkans. As a social democrat party, I would like to point out that we believe that peace in the society cannot be established by big bosses and multinational companies but by the labor force in a fair economy. Today, social issues like permanent employment, acts against social discrimination, public services are among the major concerns of our people. Therefore, social policies should be considered as indispensable parts of the economic policies. I believe that the negative impacts brought by the globalization can be minimized by social development. In order to reach a social development, social dimensions should be integrated to the economic plans and to the growth targets. By this way the development will be acceptable and permanent in terms of social perspective. Today in Turkey, there is a fight for a multifaceted democracy, the rule of law, human rights and freedoms and secularism. The support of our Balkan companions will give us power. We see social democracy as a rising value of civilization. By this way, social democracy focusing on human honor, intending to extend justice and solidarity is the assurance of peace and stability. I would like to emphasize once again that today; we are side by side with Balkan people from Rodopi Mountains to Tuna River; from Adriatic coasts to Varna who look forward for equality and freedom. This conference is an opportunity for us to get informed and enrich our knowledge by listening to different opinions and understanding each other. Welcome again. While wishing a successful conference, I present all my sincere regards and respects.